A fake Gerard Way death rumour was recently spread via Twitter. It is claimed that a group of tweeters fabricated a false retweet about the singer using the @MCRofficial account. The issue has highlighted a twitter flaw in which a user may insert the letters “RT” followed by an account username making it seems as if the tweet came from an official source. I was unable to dig up the exact tweet causing the controversy, if any of you have a link to the tweet please add it in the comments. Check out Latelate.com and Gather.com for more info on that. 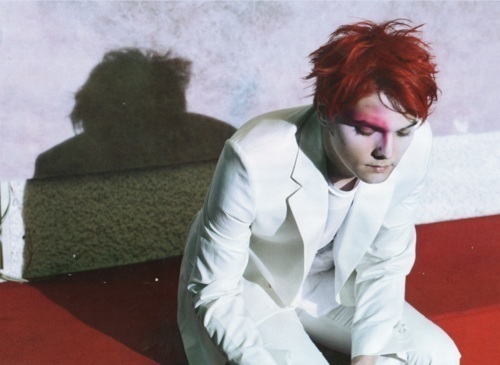 This is unfortunately not the first Gerard Way death rumour. Some of you will remember the fake death statement posted in 2006 claiming that Gerard was “killed in a car crash near his home in New Jersey”. Check out the “Rumors” section on our Gerard Way page for more info on the 2006 rumor.